Charlie J. Patterson was selected in December 2018 as the Special Agent in Charge (SAC) of the Newark Field Division for the Bureau of Alcohol, Tobacco, Firearms and Explosives (ATF). He is responsible for ATF operations throughout New Jersey. ATF is a key law enforcement agency within the U.S. Department of Justice that protects our communities from violent criminals, criminal organizations, the illegal use and trafficking of firearms, the illegal use and storage of explosives, acts of arson and bombings, acts of terrorism, and the illegal diversion of alcohol and tobacco products. The men and women of ATF perform the dual responsibilities of enforcing federal criminal laws and regulating the firearms and explosives industries to protect against crime, violence, and other threats to public safety. SAC Patterson previously served as the Chief of the International Affairs Division (IAD) in the Office of Strategic Intelligence and Information (OSII). As the Chief of IAD, he exercised full supervisory responsibility and authority over ATF’s international operations, providing second and third level supervision to eight countries worldwide with a focus on providing technical assistance, information and intelligence sharing, and training to foreign partners in capacity building efforts to reduce violent crime and prevent terrorism. SAC Patterson served as ATF’s principal representative for IAD at a wide variety of federal and international organizations, including Department of State, Executive Office of the President, United Nations, Interpol, Europol, Organization of American States, Department of Justice, Department of Homeland Security, Federal Bureau of Investigation, Homeland Security Investigations, Customs and Border Protection, Drug Enforcement Administration and the United States Marshal’s Service. 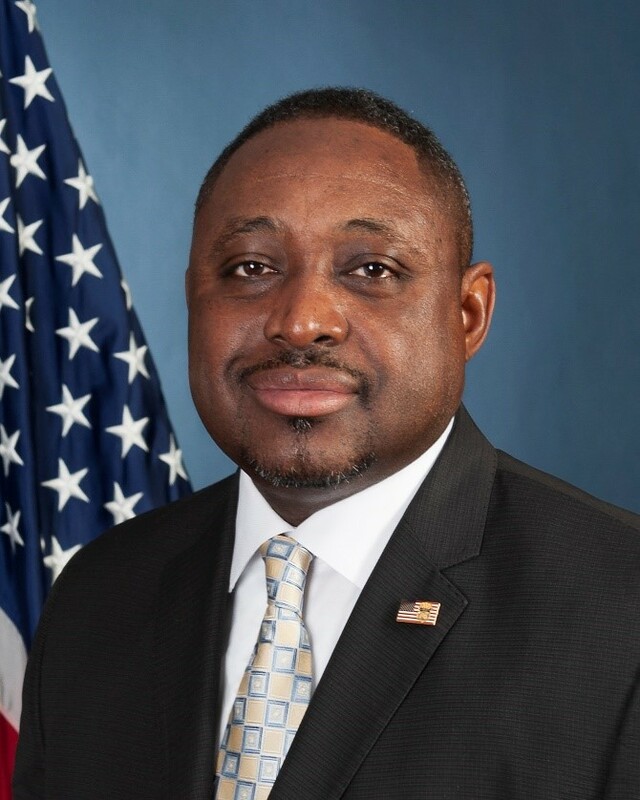 SAC Patterson is an accomplished ATF policy specialist, responsible for developing policy throughout his career for ATF’s International Operations, Special Response Team and Undercover Operations. SAC Patterson has also led ATF criminal enforcement operations that contributed to the largest violent gang roundups in New York City Police Department history as the Assistant Special Agent in Charge (ASAC) in the New York Field Division. SAC Patterson has served in numerous ATF special assignments throughout his career, to include SAC of the New York Field Division, Deputy Assistant Director-Programs, Deputy Assistant Director-OSII, and ASAC in the Washington and Chicago Field Divisions. SAC Patterson’s career with ATF began in 2002 as a Special Agent assigned to the Fayetteville Field Office in the Charlotte Field Division, coming to ATF from a five-year career as an agent with the North Carolina Alcohol Law Enforcement Division. SAC Patterson is a member of the National Organization of Black Law Enforcement Executives and the American Society of Industrial Security International. SAC Patterson received the Federal Drug Agents Foundation “True American Hero Award” for criminal enforcement and emergency management accomplishments as an ASAC in the New York Field Division. SAC Patterson has a Bachelor of Science in Criminal Justice from North Carolina Central University and a Master of Professional Studies in Homeland Security from George Washington University.